Teenagers are notorious for making rash decisions, some of which can greatly impact the course of their life. Young people, just like adults, often find themselves caught up in the legal system for such decisions, but with an important exception. Minors are usually tried within the juvenile criminal system. The records of which that many believe will be sealed upon a minor reaching adulthood. The idea being that people should not have to answer for the bad decisions of their youth, for the rest of their life. Unfortunately, that is not the case and young people are required to petition to have their juvenile records sealed. 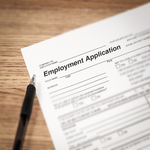 When people apply for a job, there is typically a section that asks applicants about their criminal history, that is their adult criminal history. While employers usually do not ask about one’s juvenile record, sometimes employers will inquire which could impact an individual's chance at getting hired. Asking an applicant to disclose, either in writing or verbally, information concerning or related to an arrest, detention, processing, diversion, supervision, adjudication, or court disposition that occurred while the individual was subject to the process and jurisdiction of juvenile courts/ law. Seeking from any source whatsoever, or using, as a factor in determining any condition of employment (e.g., hiring, promotion, termination, decisions related to a training program, etc. ), any record concerning or related to an arrest, detention, processing, diversion, supervision, adjudication, or court disposition that occurred while the individual was subject to the process and jurisdiction of juvenile courts/law. If you live in California and are interested in sealing your juvenile criminal record, please contact the Law Offices of Katie Walsh. While some juvenile crimes, such as murder, arson, robbery, assault with a deadly weapon, certain gun charges, carjacking are generally unable to be sealed, we can help you determine if you qualify and petition the court to have your record sealed. It is a decision that can help you later in life.